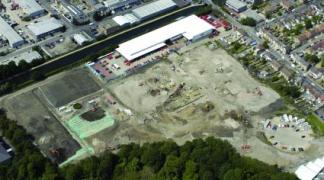 Our aim is to ensure your site’s risks are assessed to the exact requirements of the local planning authority and the Environment Agency as quickly as possible. Our assessments and soil surveys are not off-the-shelf contaminated land surveys that can leave more questions than answers. We engage in dialogue immediately with the regulatory authorities and mange all the land contamination issues needed to gain planning permission or assess liabilities required during due diligence or everyday operations. The phased approach ensures professionalism and regulatory compliance, whilst maintaining a commercial focussed result. 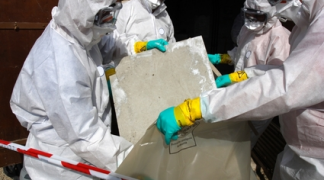 A Phase I desk top study or Preliminary Risk Assessment is a key document in any contaminated land assessment, this is fast becoming a statutory requirement. 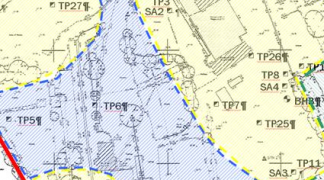 The Planning Policy Statement 23 (PPS23) is to accompany a planning application for sensitive developments. JCMES comprehensive service includes the collation of all environmental information available for review such as historical mapping, aerial photographs, water quality data, geology and sensitive land uses surrounding the site. A preliminary walkover is undertaken to assess the sites current condition and site setting. In accordance with current guidance and best practice, this information is used to create a Conceptual model which will identify the presence of any potential pollutant linkages and assess any contamination issues which may require further assessment. At this stage should further assessment be required a fully detailed site investigation incorporating trial pit/borehole locations would be designed and costed as part of this service. 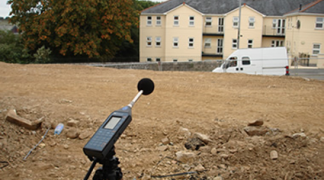 JCMES offers a comprehensive site investigation service using tried and trusted intrusive techniques such as trial pits, boreholes and window sampling. These are used to collate data for the assessment of contaminated land, water, leachate and gas issues identified within the Phase I Report. All samples are collected in accordance with published protocols and guarantees that all samples remain under our direct custody until dispatched to our sub contractored NAMAS accredited laboratory. Upon completion of the site investigation further monitoring may be required, JCMES staff can offer in house state of the art monitoring for groundwater, landfill gas and leachate. JCMES prides itself on the collection of high quality Phase II information as this is the key to the effective and site risk assessment. The time and effort spent successfully undertaking and completing Phases I and II is squandered unless appropriate remediation and validation works are undertaken. Phase III can ultimately lead to reduction in risk from contamination, discharge of planning conditions and successful sign-off of developments.